SALE Ends Soon. Best Price and Quality Aluminium iMac Online. 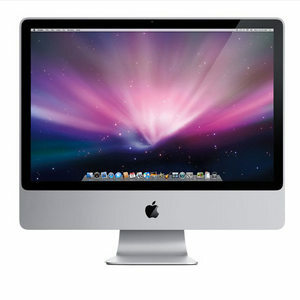 Get the 20-inch Apple iMac desktop loaded with plethora of features, which deliver amazing performance. 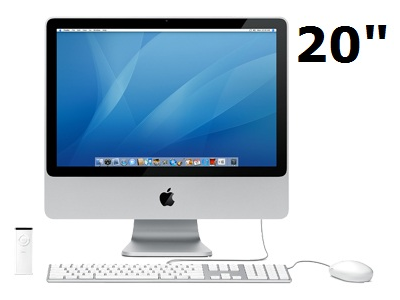 Powered with an Intel Core 2 Duo processor, this Apple 250GB desktop improves multitasking and multimedia performance. The 250GB hard drive capacity in this Apple 2.4GHz desktop provides enough space for storing all your entertainment files, and even important documents. Get the ultimate multimedia performance with the ATI Radeon HD 2400 XT graphics in this Apple 250GB desktop. You can rely on the high-speed wireless 802.11n technology of the 20-inch Apple iMac desktop for fast internet connectivity. Be amazed and impressed with the powerful performance capacity of this Apple 2.4GHz desktop. We can not always guarantee to include the iLife package with these units, however it is available from the iTunes store at a very reasonable price. This iMac is compatible with the latest Lion operating system. Grade A – Good Condition, works perfectly with slight marks to the aluminium. Screen in excellent condition. Great product! Excellent Value for money! I have just purchase a refurbished Imac desk top computer 20inch widescreen, it arrived very well packed, and i now have it up and working. 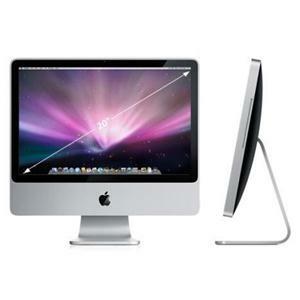 It is in very very good condition, I need to put in some more application's but i am very please with the "imac", I would recommend Maple Discount Electronics Store to any one. Very Very pleased........DCS.